It is with pleasure that I present this Annual Report of the 2017 College Year. 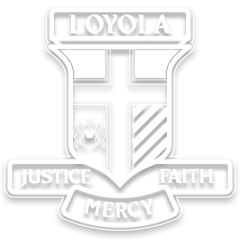 The 2017 Loyola College Annual Report provides a wonderful snapshot of the College and is presented under a number of headings including College Profile, Professional Engagement and Key Student Outcomes for the 2017 academic year. There is a great deal of good news in our Annual Report and Loyola College continues to be proud of all it achieves in all aspects of our students’ development in association with our families and staff members.